Fire Rated Intumescent firestop pipe collars are prefabricated for open and closed through-penetration firestop systems. 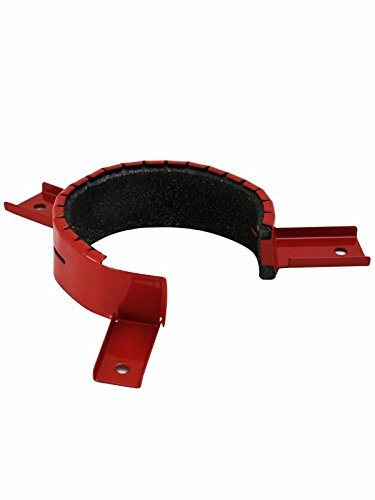 Firestop collars consist of a steel collar and an intumescent silicone strip suitable for 1.5", 2", 3" and 4" nominal trade size plastic pipes and large electrical cables; carry up to a 4 Hour fire rating. Intumescent collars are to be fastened around plastic pipes where they penetrate fire rated floor and walls. Firestop collars are lightweight and durable, and are ready-to-use. Easy installation via a locking mechanism reduces labor time. Tested to ASTM-E814 performance specifications, UL Classified. If you have any questions about this product by Everkem Diversified Products, contact us by completing and submitting the form below. If you are looking for a specif part number, please include it with your message.